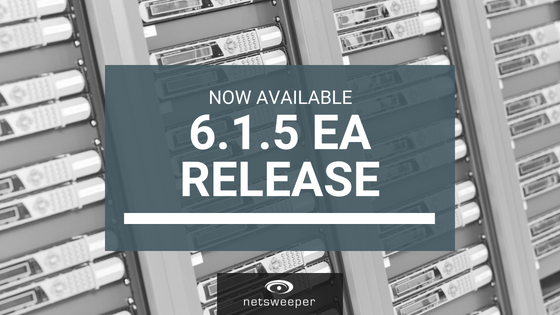 The Netsweeper 6.1.5 EA Release is now available! Netsweeper is pleased to announce Netsweeper 6.1.5 EA release. This release delivers the next set of roadmap items, WebAdmin interface improvements, stability and bug fixes. All customers running the 6.1.1 to 6.1.4 releases are recommended to upgrade to the 6.1.5 release. Customers running an older 6.0 or prior release should consider upgrading depending on the features, functionality, security, and bug fixes found in the 6.1 release series thus far. NSProxy can automatically trigger an unknown:// event if the client application to NSProxy SSL negotiation fails. This can be due to cipher or version compatibility or other SSL errors. To see the 6.1.5 Change Log, new features or to download this release see our documentation in our HelpDesk knowledgebase. If you have any questions or concerns about planning an upgrade to this release, please contact Netsweeper Technical Support: support@netsweeper.com.